Jersey City, what is now a booming metropolis, was once a city driven by immigrants working in the shipping and manufacturing industries. 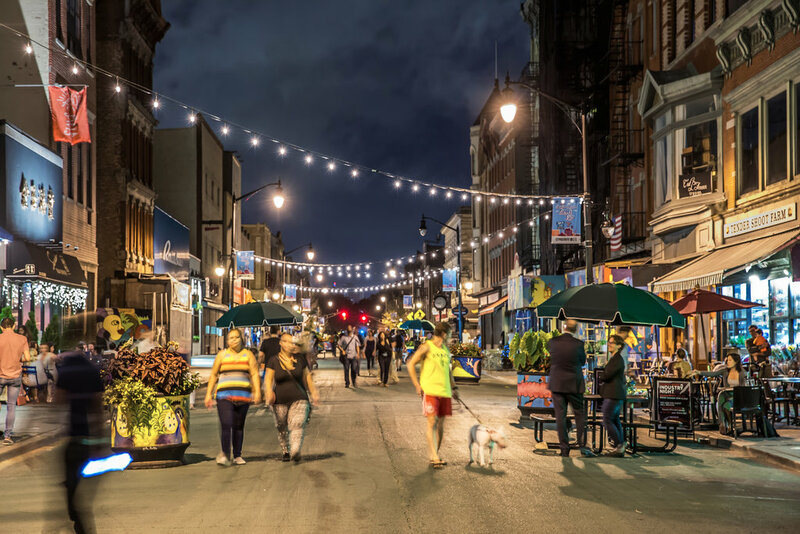 This newfound status can be attributed to the vibrant culture and diversity in the area, and JC’s commitment to collaboration and innovation that creates an unparalleled quality of life for residents and businesses. Some cities are known for their landmark attractions, others for their action-packed nightlife, or even simply for the unmatched quality of their community. With Jersey City, it’s a culmination of all things positive! It’s no surprise there’s such a demand for JC right now, so we’re creating a guide to help you ride the Jersey City wave. You may find yourself asking how do you get to Jersey City followed by gripes and groans, “It’s so far away” or “It’s in a whole other state” but it’s actually much more straightforward than you think! You can jump on the PATH Train from the World Trade Center and be in Jersey City in less than 10 minutes. If you’re closer to West 33rd St., you can catch the PATH from there for a quick 20 minute ride. Easy peasy! 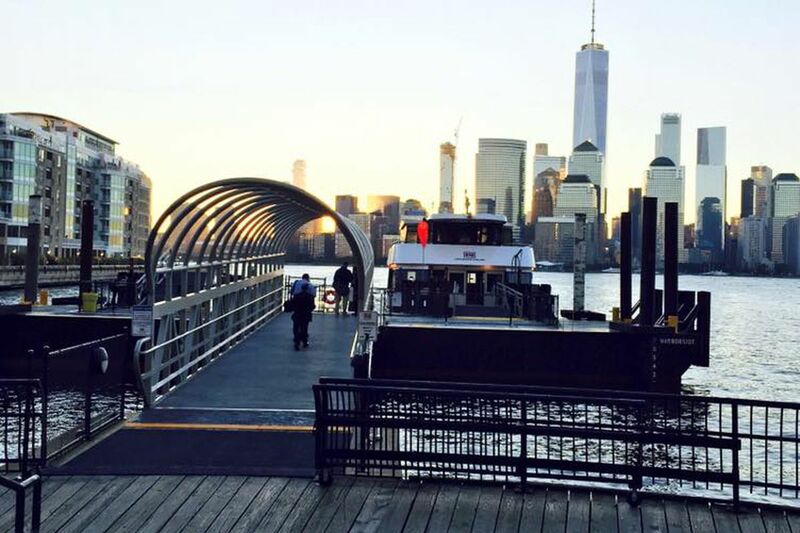 If you want to sail the high seas then catch the ferry at Midtown/West 39th St. or Brookfield Place Terminal to catch a ride to Harborside, NJ in under 20 minutes. Downtown Jersey City is made up of several smaller micro-neighborhoods, each with its own unique style. Hugging the water are the shiny towers of Exchange Place. Venture a little deeper and you’ll be met by a bustling restaurant scene around the happening Grove Street area. If you find yourself drifting from these areas you’ll find yourself among the brownstone blocks of Hamilton Park, Harsimus Cove, and Van Vorst Park. These wanderings are exactly that, with only a short distance keeping you from exploring the aforementioned areas. The crown jewel of the park world for Jersey City is undoubtedly Liberty State Park. 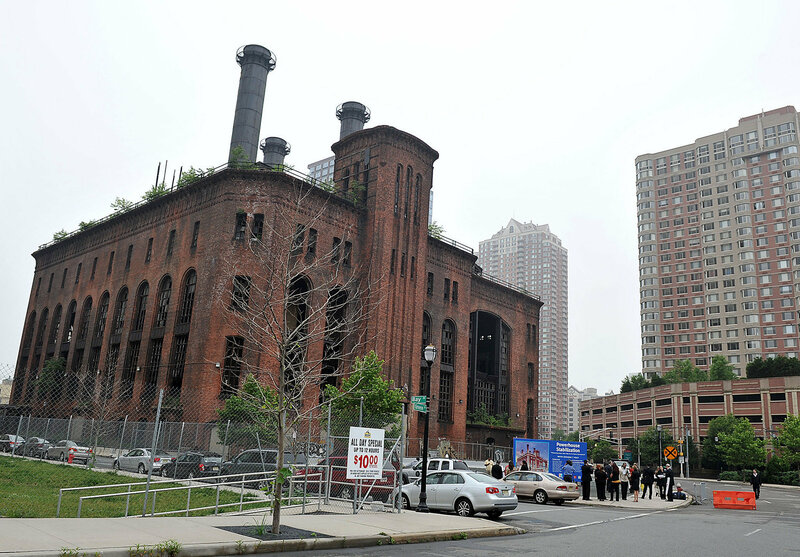 Having once been a landscape of industry, it transformed, just as Jersey City did. Beautification began in the 70’s for its grand opening in 1976, acting as New Jersey’s Bicentennial gift to the nation. The park sprawls over more than 1000 acres, with stunning views of the Statue of Liberty and Ellis Island, and plays host to a range of activities such as water sports, recreational games, picnics and other outdoor adventures. The waterfront views at Liberty State Park are amazing, and to make it even better they go on and on! Stroll or bike along the Hudson River Waterfront Walkway for all encompassing scenes of Manhattan and beyond. Sometimes you just have to take a step back from the bigger picture to get a real sense of perspective. This is one of those times! The diversity rooted in the fibers of Jersey City are still reflected today. These influences and flavors are ever present. An urban refinement remains downtown, from the Colgate Clock to the Powerhouse Arts District, a hub of inspiration for talented artists. Paired with this is the incredible scattered across the area thanks to the passage of time. The vast and varied scenery clearly conveys the message of the indelible history behind the growth of Jersey City over the years. Take a moment to gaze at your surroundings. Towers that reach to the sky are integrated seamlessly with the beautiful brownstones that lie below. This dense landscape truly depicts Jersey City in a spectacular fashion. Perhaps the largest presence of culture in Jersey City derives from the food that it offers. JC boasts a wide variety of goods from Korea, India, Cuba and the Philippines - so when you’re checking it out, you best bring your A game! Speaking of food, we’ve compiled a list of some of the best food to chow down on! Groove on down to the Grove Street area where you’ll be in foodie heaven. The streets are lined with exquisite restaurants and bars so you’re in no danger of running out of options! We’ve narrowed down the long list to give you some of our favorites here at SpareRoom. Okay first up we have Talde - this may be a familiar one with some Brooklynites. This restaurant is the sibling of the identically named Brooklyn establishment in Park Slope. Asian-fusion is on offer here, and boy does it do it well! The Pretzel Pork & Chive Dumplings, Beef Short Rib Kare Kare, and the insanely good house special, General Talde’s Chicken are some musts from the delectable menu! A big bonus of course is that you’re much more likely to nab a booking or seat at the bar here in Jersey, unlike its Brooklyn counterpart. If you’re looking for something one of a kind then check out Skinner’s Loft. This family run business in the Grove Street area on Newark Ave will cater for anything you’re after with a fresh, contemporary menu complemented by its comforting and elegant aesthetic. Once you’re finished with admiring the towering ceilings, exposed-brick walls and (if the weather is good) romantic rooftop, settle into your seat to continue your feast for the senses. We highly recommend the Fried Calamari to share, followed by either the Chorizo & Watercress Stuffed French Cut Chicken Breast or the Stout Glazed Double Cut Pork Chop. Once finished, sit back, relax and return to your admiring of the charming interiors. Okay you’re finished dining for the night, it’s time for drinks. Luckily for you there’s no need to stray too far for those après dinner drinks. Grove Street is still grooving into the late hours so grab your coat and get moving to LITM (Love Is The Message), where creative seasonal cocktails are the go-to. If nothing on the menu catches your eye (doubt it), or if you want to get your mixology on, then look to the Infusion list to create your own cocktail with the help of the friendly and experienced bartenders. No two nights are the same at LITM, with everything from art shows to film screenings taking place, guaranteeing you a totally different experience any night you drop by. Horror movie fan? Then you may be familiar with the name of this bar - Dullboy - drawing inspiration from ‘The Shining’. Dullboy is primed on literature and pays homage to many great writers such as Ernest Hemingway and Charles Bukowski, with manual and dated typewriters detailing the walls accompanied by Edison bulbs to accentuate the copper-topped bar and its many other artistic features. Back to the most important part of the night, the drinks. Dullboy’s signature cocktails are one of a kind. Personal favorites here at SpareRoom include The Kayla, The Grazia, and The Scout (covering all our liquor preferences), but admittedly you can’t go wrong with the classics either, drink up! 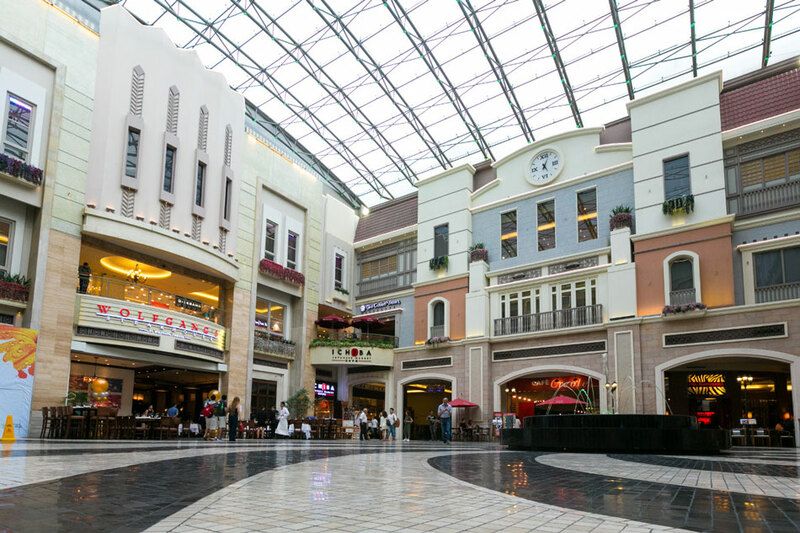 Newport Centre is the premier shopping destination in all of Hudson County, located in the heart of the Newport Hudson Waterfront Community. It’s location makes it easily accessible from anywhere in Hudson County or New York. Whatever is on your radar, you’re bound to find it at the Newport Centre, one stop is all you need with 4 department stores, and over 130 shops for you to peruse. Take a break from the shopping and hit the 11 screen cinema or catch a bite to eat at the 1,000 seat capacity Dining Pavilion with over 19 eateries on offer. Shopping finished for the day? Head to some of the bars we mentioned above to ease into the night! If you’re a Jerseyite and proud, let us know some of your favorite things to do in the area!